Maneuverable, first out quint with full rescue capabilities. Truly another game changer. We’ve taken the Ascendant single rear axle quint configuration and made it even better with the addition of a platform basket. Imagine that… for those of you who would rather ride than climb or for those of you in weight restrictive states who could never even consider a heavy, tandem axle aerial platform – the Ascendant heavy-duty aerial platform is your solution! This configuration will provide you 110' (33.5m) of vertical reach and 90' (27.4m) of horizontal reach without compromising on water capacity, performance, or safety. You’ll have a maneuverable, first out quint with full rescue capabilities. The Ascendant platform includes a 100,000 psi high-strength steel ladder with a fully NFPA compliant, ergonomically designed 3-person basket. The Ascendant platform is rated to a 35 mph (56 km/h) wind and ¼" (0.64cm) of ice load. It can accommodate 100 lb (45.4kg) of additional equipment and flow 1,250 gpm (4,732 L/m) from a single monitor located at the end of the fly section. Platform and monitor controls are simplified, intuitive and ergonomically positioned for ease of use during operation. 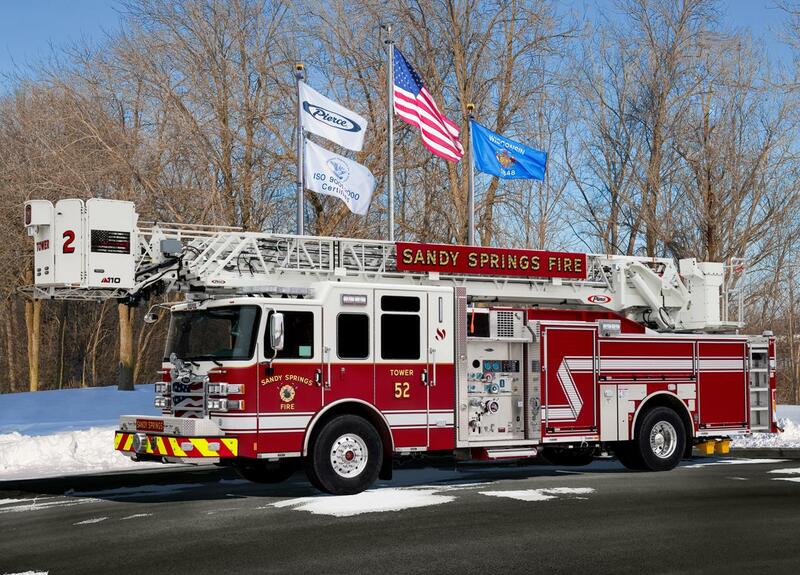 Comfortably fit 3 firefighters inside of the ergonomically designed heavy-duty steel platform. The platform features dual swing-in doors. The extended front floor and angled corners provide easy maneuverability and positioning. Compartment space varies, ranging from 144 cubic feet to 306 cubic feet depending upon the body style selected. Even with the platform stowed, driver and officer visibility is not impeded. Sightlines through the windshield are unobstructed. The Ascendant platform is capable of flowing 1,250 gallons per minute through the single monitor located at the end of the fly section. The Ascendant platform will provide you with 110’ of vertical reach and 90’ of horizontal reach without compromising on water capacity, performance, or safety. Extend the platform a mere 8' to easily access the basket from the ground. E-coated pedestal & torque box on the single rear axle configuration. E-coated torque box & stabilizers on the tandem rear axle configuration. The Ascendant platform has an impressive operational range of -10⁰ below ground level to 77⁰ above ground level. The Ascendant is designed to perform at full capacity on a 9% downhill slope while meeting all NFPA stability requirements. The Ascendant is designed to perform at full capacity on a 12% uphill slope while meeting all NFPA stability requirements. Featuring only 1 set of H-style outriggers and 1 downrigger, set-up is fast and easy. Tight spot? The vehicle can be short-jacked in those situations. 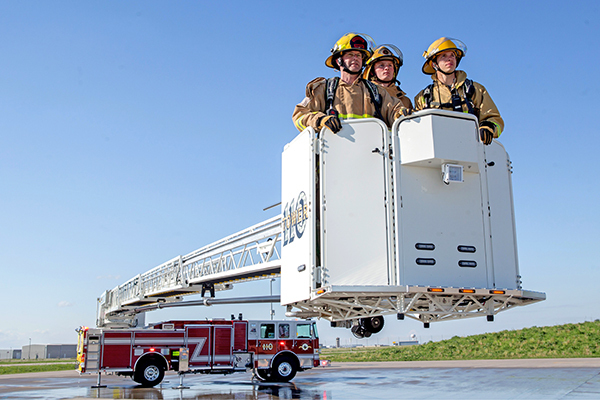 The patented Ascendant technologies make it easier to setup and position the apparatus, and provide smoother and quicker platform deployment speed. In order to maintain the impressive performance characteristics inherent to the Ascendant, the monitor weight and location have also been optimized resulting in a single monitor at the end of the fly section. The monitor can flow unrestricted both horizontally and even backwards. 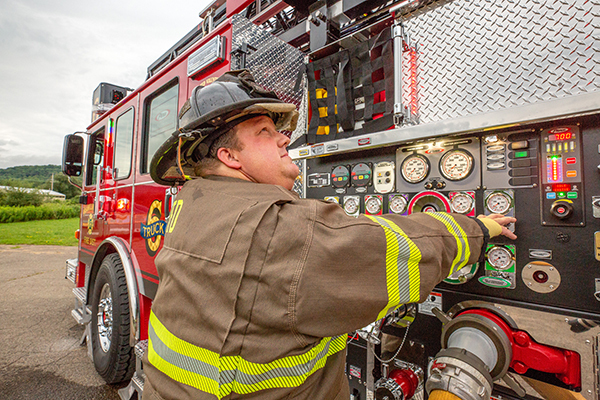 Sales Organization: Ten-8 Fire Equipment, Inc.